Students enter the Ming Dynasty through the gates of the Forbidden City in the first scene. Then, they explore more details of the dynasty‚Äôs history, including its brief attempts to explore the world beyond the seas. Next, they examine the Ming policy of isolationism and its causes and effects. 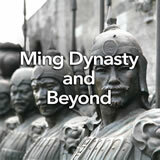 Finally, they survey China‚Äôs final dynasty, the Qing, and write about an important Ming or Qing figure of their choice. In this experience, students enter the Ming Dynasty through the gates of the Forbidden City in the first scene. Then, they explore more details of the dynasty’s history, including its brief attempts to explore the world beyond the seas. Next, they examine the Ming policy of isolationism and its causes and effects. Finally, they survey China’s final dynasty, the Qing, and write about an important Ming or Qing figure of their choice. Describe the social, political, and economic development of the Ming Dynasty. 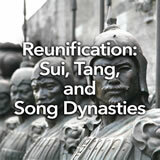 Identify causes and effects of Chinese isolation in the 15th century. 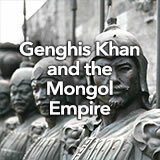 In this experience, you’ll learn about the dynasty that overturned the Mongol rulers of China. It was the Ming Dynasty, and it lasted almost 300 years. The Forbidden City! Who knows what might happen to a stranger who set foot in it? To find out, watch China’s Forbidden City: The Creation. Discuss student questions and use them to frame the rest of the experience. When you complete the experience, return to the questions to see if they have been answered. Interested students can learn more from The Forbidden City in the Student Pack. The Complete List of Learning Experiences in China in the Middle Ages Unit.